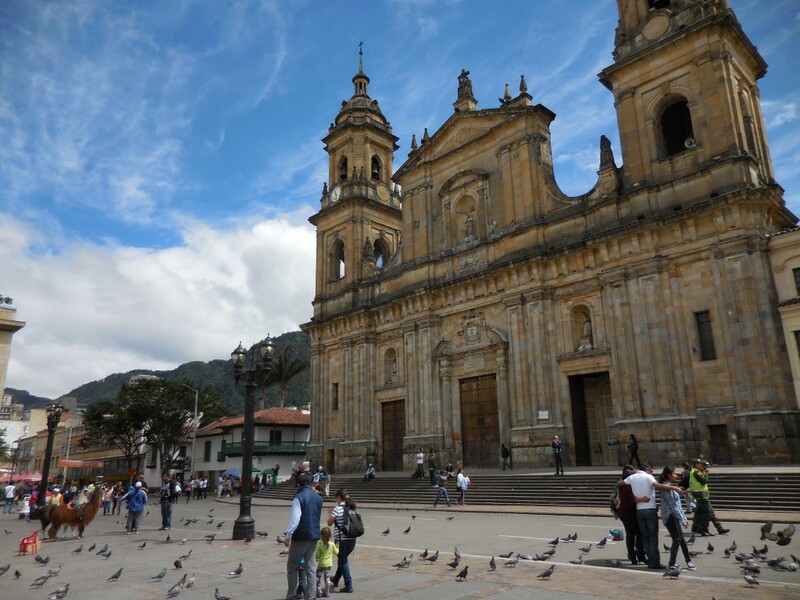 We were to fortunate to visit three cities during our travels to Colombia. 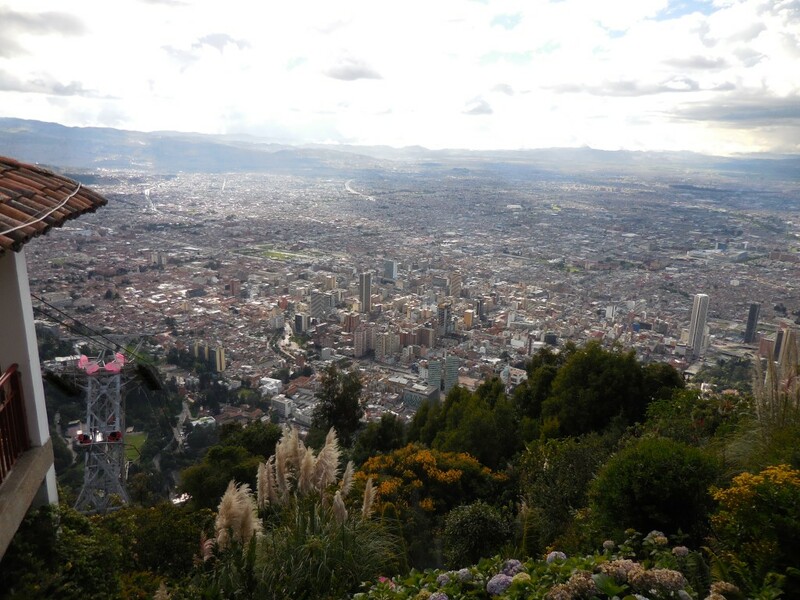 We had always been fascinated by the capital city of Bogota. However, Bogota in December (summer in South America) was quite empty to our dismay. It seemed like most Colombians had packed up and migrated to the coastal cities to enjoy the warm summer weather. We could immediately notice that Colombia seemed to have triumphed over it’s previous reputation. We did not feel a sense of fear or danger, at least no more than we felt in any other city on the American continent we had visited prior. On our arrival the airport, we checked in through customs and immigration. Thankfully, this was a relatively easy and pleasant process. Once outside the airport, we were approached by the airport taxi cab service, We took out about 300,000 Colombian Pesos from a nearby ATM, got into the Taxi and headed for the Hilton Hotel where we booked a room for a couple of nights. There was no sense of danger or fear that something bad was in the lurks. 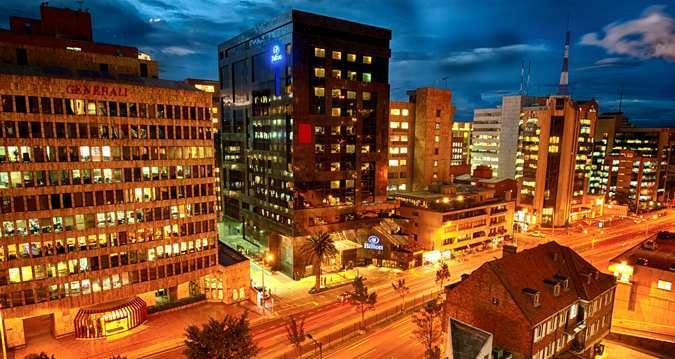 The Hilton Bogota is located in the famous Carrera 7ma Avenue, in the heart of Bogota’s financial center. 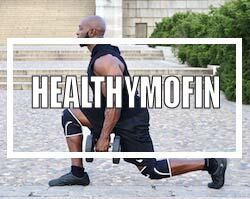 On getting to our hotel, we were checked in by a very pleasant and rather attractive Colombian lady, (During our trip, we noticed a lot of the Colombian women had very dark, rich, buttocks-length hair, olive skin and vulouptous curves). That was another stark difference between Colombia and it’s North American counterparts, the standards of beauty are very different. After checking in, we were itching to go see what Colombia had to offer, so we dropped off our bags, went back to the gorgeous lady at the reception and asked what was good to see in Colombia. Me: Do you know what the good places to go in Bogota are? 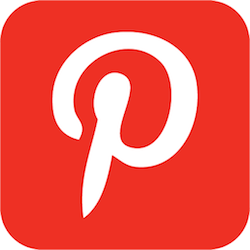 She pulled out a city map and said we should visit the presidential palace, take a Gandola ride to get a bird’s eye view of the city, visit La Candeleria, some museums and so on…. 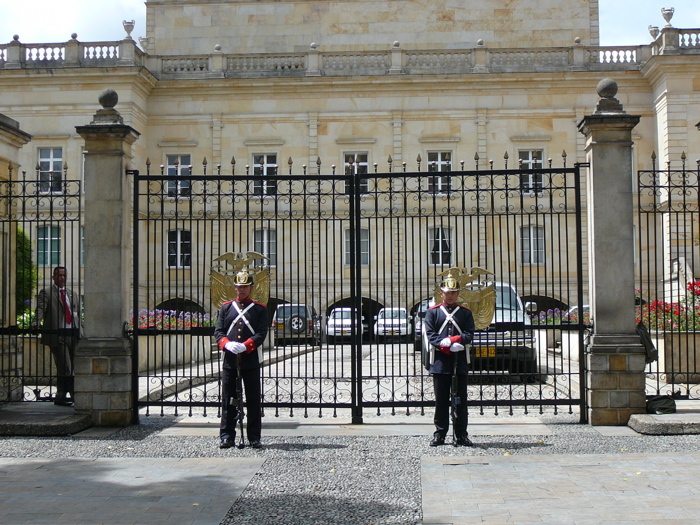 Guards in front of the Presidential Palace (Casa de Nariño). This is seat of the Colombian government. It was absolutely grand and heavily guarded and there were some ceremonial guards in front of the Presidential palace. We hear if you stick around long enough one gets to see “the changing of the guard”. We did have other things to see, so we moved on to the next attraction before the security detail could change guards. The ride to the top of The Hill of Monserrat starts here. 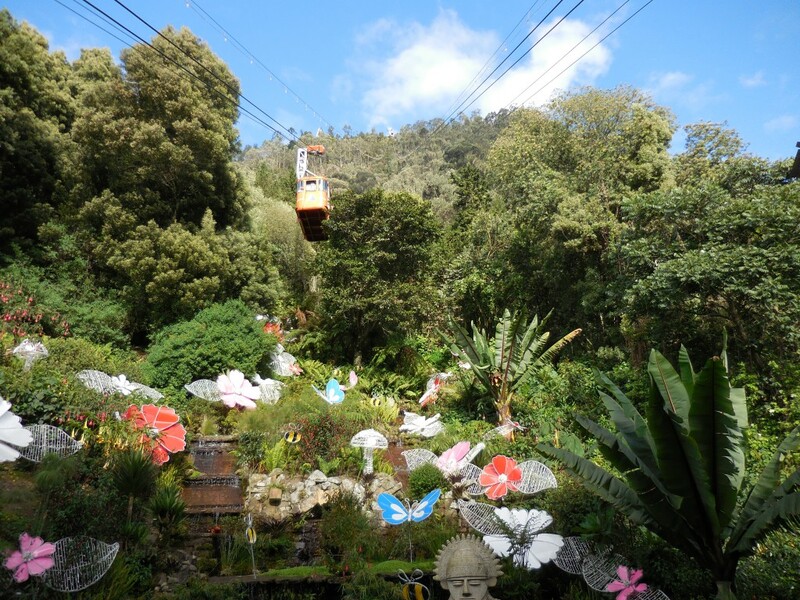 There is no better way to get a bird’s eye view of Bogota than to use the aerial Gondolas to get to the top of the “Hill of Monserrate”. The views from the top and definitely worth your while. On your way to the top of the hill. The Gondola ride itself took some waiting as it seemed like this was a popular tourist attraction. However, once we got on our way, it was smooth sailing to the top. The Gondolas were built in the 1950’s and have a capacity of about 40 people in each cabin. The hill top is about 10,000 feet (3000 meters) above sea-level and the view of the city is unreal. There is also a church and other smaller tourist attractions. If you are ever in Bogota, this is one tourist attraction you must partake in. 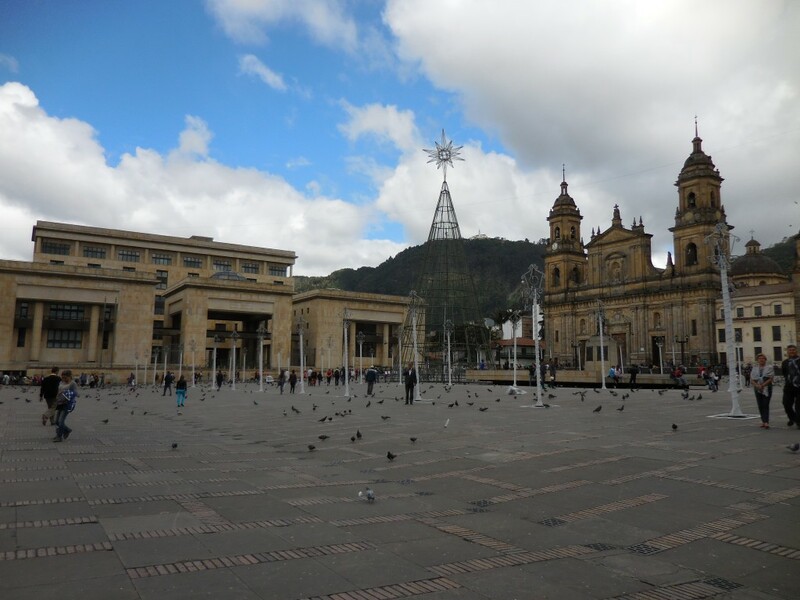 This is the main square in Bogota and it definitely gives you a sense of Colombia’s Spanish identity and heritage. There were a lot of pigeons in the square and people feeding them. The most interesting thing we saw in the square were a couple of people giving rides on Llamas right in the square. The square has great architecture and the some passage ways leading to other much busier streets. There are some amazing museums in Bogota. If you are a history buff, you will find plenty of antique artifacts to wet your beak with. 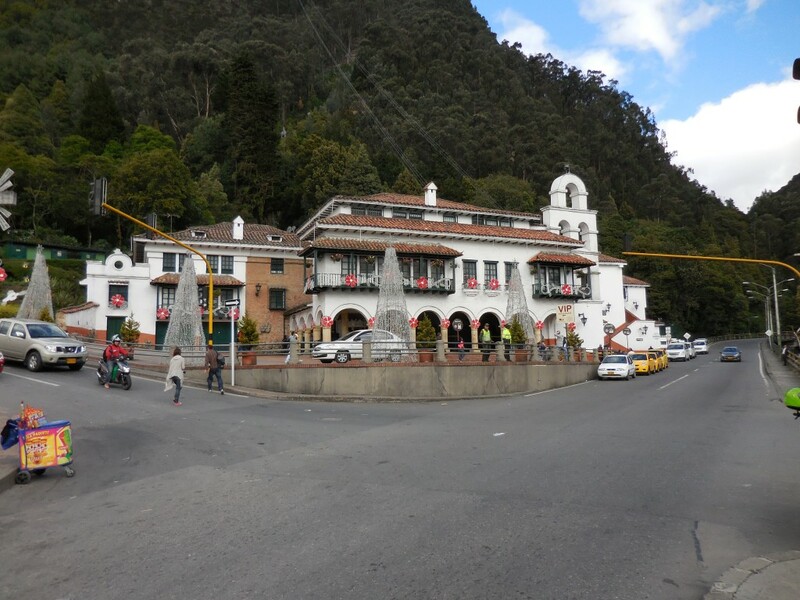 We have compiled a list of Museums you can visit while in Bogota. While we wish we got a chance at Bogota nightlife, There just wasn’t enough time. We had to proceed to the beautiful walled city of Cartagena. 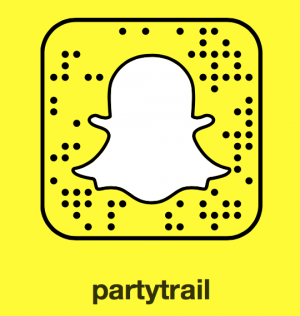 However being the angels that we at “The Partytrail” we decided to provide some links in the “Useful Travel Resources” section that might be useful to you if you are planning on traveling to this beautiful country.